This past weekend, American Trucking Associations kicked off the week long celebration of the trucking industry’s 3.5 million professional truck drivers by formally announcing the start of National Truck Driver Appreciation Week. National Truck Driver Appreciation Week, September 10-16, provides the trucking industry an opportunity to highlight the efforts of professional truck drivers. More than 80% of U.S. communities rely exclusively on truck drivers to deliver their goods and commodities, including the most remote towns and territories that are unreachable by other modes of transportation. Recently, thousands of professional truck drivers have assisted and continue to assist the relief efforts for places impacted by Hurricanes Harvey and Irma, serving as critical responders to the disaster. More than 1.6 million trucking industry employees live and work within the direct paths of Hurricanes Harvey and Irma. In the midst of National Truck Driver Appreciation Week events, ATA will closely monitor the storms and work in cooperation with the American Logistics Aid Network and FEMA to carry out relief efforts. Our friends in trucking and their neighbors will continue to be in the industry’s thoughts and prayers in the week ahead and throughout the rebuilding effort. State trucking associations, industry suppliers and motor carriers of all sizes are set to host appreciation events for the men and women who safely deliver more than 70% of all freight tonnage in the United States. Additionally, America’s Road Team Captains and Share the Road professional truck drivers will take to the airwaves September 12 for live satellite broadcasts from the Nashville terminal of TCW Inc. ATA First Vice Chairman Dave Manning, president of TCW Inc., will also participate in the morning broadcasts and speak alongside the professional truck drivers about the important role that drivers play in the nation’s economy. ATA is asking the trucking industry to engage their communities in this week’s celebration of truck drivers. Public officials, community leaders, members of the media and local businesses can all play a role in helping to better understand the important work that truck drivers do in safely moving the economy each day. Highway safety is dramatically improved when the motoring public acknowledges the difficulties of driving a truck and the limitations of large commercial vehicles. In support of this effort, Trucking Moves America Forward, the trucking industry’s image movement, is partnering with state trucking associations to run billboard advertisements along key highways to thank truck drivers for their service to the industry. 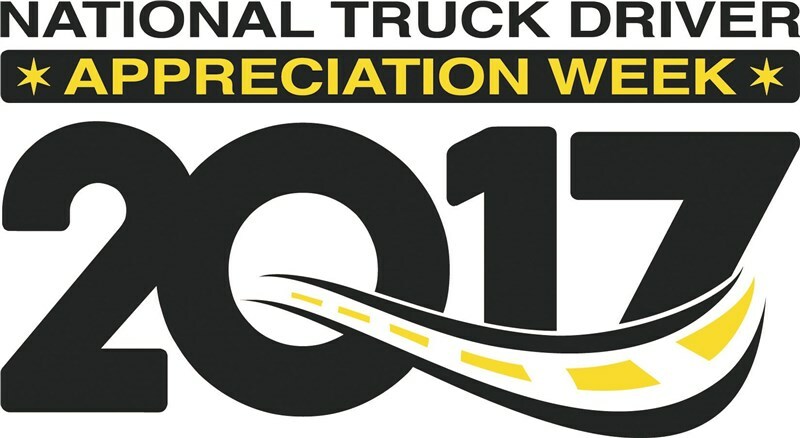 The ATA official NTDAW site offers a collection of resources to magnify driver appreciation events. The content provided by ATA enables passionate industry professionals to engage their communities in this important week. These resources demonstrate public support for the challenging work that drivers do each day and reflect the image of professional truck drivers. ACT 1 is a premier sponsor of National Truck Driver Appreciation Week. HELP Inc., provider of PrePass, is also a sponsor of NTDAW.